Like many of you, I have lost The New Yorker’s Cartoon Caption Contest hundreds of times. 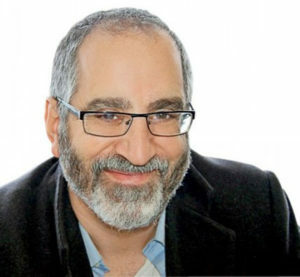 But I’ve won it more than anyone else, so Bob Mankoff thought I might have something useful to say about the contest he recently started running on this website. Each week I will write about the most recently concluded contest, delving into my process for thinking of captions, and then highlighting some of your entries (those I particularly liked, and maybe a few I hated) to find out what works, what doesn’t, and why. I won’t look at your entries until after coming up with my own captions. I am not allowed to enter the Cartoon Collections contest—I’ve been banned—and I have nothing to do with selecting each week’s winning caption and two finalists. That’s someone else’s job. I’m here solely to provide some insight that may help you win The New Yorker’s caption contest (for those who want to brag about getting published in the magazine) or this latest version (for those who want $100). 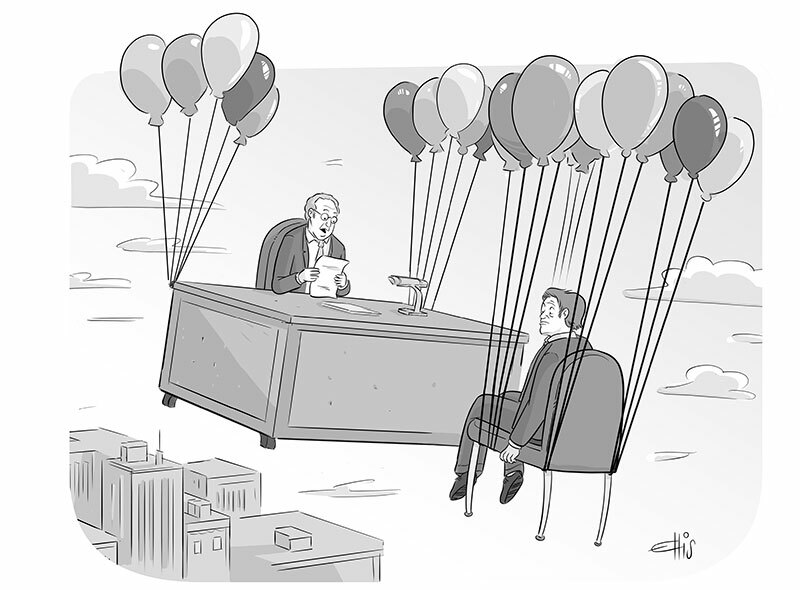 The contest that ended last week featured Ellis Rosen’s drawing of an airborne job interview. The older man—the one conducting the interview—is speaking, and therefore delivering the line that must address both the interview process and flying through the air while suspended from balloons. Finally, I focused on the words “job” and “interview,” which led to “It’s a dream job, but only because you’re dreaming,” and, “Can you land the interview?” This last caption is, like the standard interview questions above, a common line that takes on an entirely new meaning in the context of the drawing. Now, let’s take a look at some of your entries. There were almost 3,000, and many focused on the word “inflation,” which cleverly and concisely addresses both business concerns and balloons. My favorite such caption, however, was, “We worry more about deflation.” It’s short and reconciles the disparate frames of reference—two essential qualities of a successful caption—but adds another interesting element (a fear of falling) missing from similar entries. One of you submitted, “So you’re trying to land a desk job?” That’s similar to my “land the interview” caption but better because people talk more about landing a job than landing an interview. Some of the best captions not only make sense of a bizarre drawing but truly surprise the reader. That’s why I love, “Spiders. You?” Although this entry loses points for ignoring the fact that the characters are floating high in the air because of balloons, it adds another completely unexpected but fitting angle (a discussion of common phobias, including the applicant’s fear of heights). And it accomplishes this goal with just two words. That’s all for this week. I hope it helps.